For anyone who has spent some time in the stock market, he/she must has come across some advertisements on selling of outstanding profitable trading system, courses, stock pick, etc. that promise to have your return of investment multiplied a couple of times in short period of time. Back on June 30, 1859, a man by the name of Charles Blondin accomplished an amazing feat. He crossed Niagara Falls on a tightrope. About 5,000 people had turned out to see his performance as he had ran an ad in the New York Times earlier on. 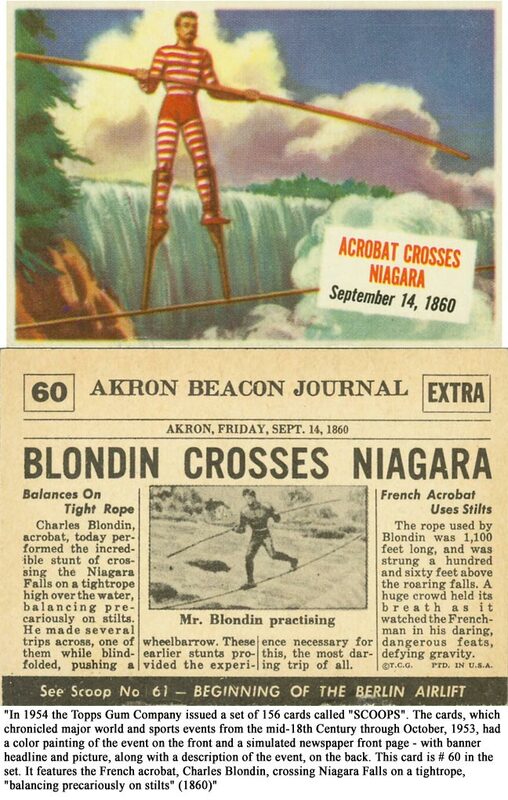 The rope stretched 1,100 feet (nearly the length of 4 football fields) across the falls at a height of 160 feet (about 16 stories high). 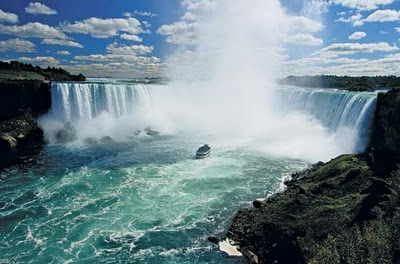 Before Charles began his first attempt to cross the falls, he asked the crowd a question. “How many of you believe I can cross the falls on that tightrope?” The crowd just applauded and cheered to encourage him to start the performance. 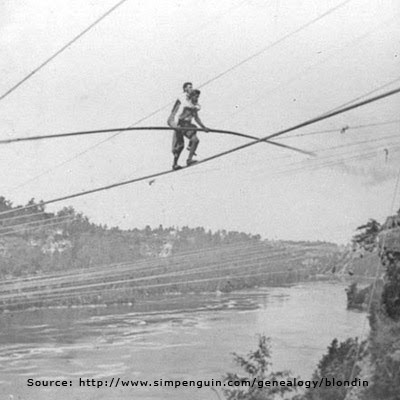 Charles not only safely made across and back on the tightrope, but also increased the difficult of the performance each time by pushing a wheelbarrow, on stilts and blindfolded. As the crowd was so amazed with his skill, he then asked “How many of you believe that I can cross the Falls with somebody on my back?” The crowd applauded and cheered this man that they now believe in his ability to do so. Then Charles asked for a volunteer, “Who will volunteer?” The crowd was silent. He then pointed out one man standing nearby, “How about you?” The man replied, ”Hardly, you don’t think I am going to risk my life like that, do you?” and he turn away. 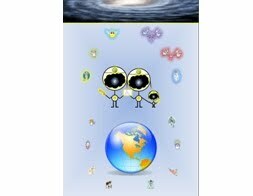 Next Charles pointed out another man, “And what about you?” The man replied, “I believe. In fact, I have no doubt at all.” The man then proceeded to climb on the back of Charles Blondin and they headed across the falls. The crowd waited breathlessly while they crossed and roared their approval once they completed the crossing. What they didn't know was that the man who crossed on Blondin's back was Harry Colcord, his manager. You see Harry Colcord knew how good Charles Blondin was and fully trusted him. His faith was secure, as the object of his faith, Charles Blondin, was trustworthy and had proven himself so over the years. If those people, who are selling their Best Trading System, have Faith in their own system that can Multiply on the users' investment in short period of time, why do they just want to sell it for a couple of hundreds or thousands dollar???? So, are you going to be the volunteer to use the system that the designers themselves do not have the full faith on it? Well, one will never find peace of mind by letting the financial market to erode their hard-earned money, nor allowing others to determine their job stability in a compnay. And yet one can not simply buy a good trading system to depend on... So, is there any solution to escape the rat race? What about develop your own? If it is to big of a task for one person, why not workout a Master Mind Team to handle a bigger task? Heidi keeps track of the drinks consumed on a ledger (thereby granting the customers' loans). Word gets around about Heidi's "drink now, pay later" marketing strategy and, as a result, increasing numbers of customers flood into Heidi's bar. Soon she has the largest sales volume for any bar in Detroit. Overnight, DRINKBONDS, ALKIBONDS and PUKEBONDS drop in price by 90%. The collapsed bond asset value destroys the banks liquidity and prevents it from issuing new loans, thus freezing credit and economic activity in the community. The suppliers of Heidi's bar had granted her generous payment extensions and had invested their firms' pension funds in the various BOND securities. They find they are now faced with having to write off her bad debt and with losing over 90% of the presumed value of the bonds. Her wine supplier also claims bankruptcy, closing the doors on a family business that had endured for three generations, her beer supplier is taken over by a competitor, who immediately closes the local plant and lays off 150 workers. Is this was an Accident by mistake or an Intention by design? 1) Insiders Buying/Selling information used to be an excellent guide for predicting the short to mid-term price movement. By law, insiders must report their activities for buying or selling stocks. 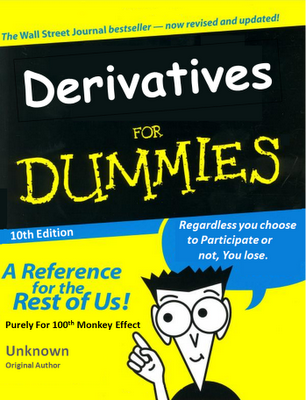 But, with derivatives, insiders can now using put or call options to make profits which need not to be reported. And not to forget that many derivatives such as options are higly leveraged. Therefore, Insiders Buying/Selling information is not so much useful as compare to the past. 2) As people are now able to use puts and calls to profit from the market, the classical Tape Reading Technique is no more as accurate as the past. In real life, many of those who lack of money are not because that they don't know how to make money. They are lacking of money mainly because they don't spend their money wisely and more critically is that they do wrong investment with their money. against the inflation in the future."